Testosterone levels naturally decrease with age in males. 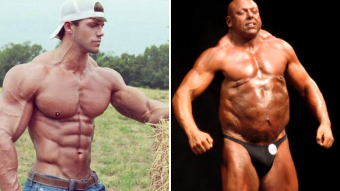 The same is true with the production of HGH, human growth hormones produced by the pituitary gland. When levels of testosterone and HGH are abnormally low, some men consider injections with HGH as a complement to testosterone therapy. While injections that help men restore levels of HGH are approved for use by the FDA for certain medical conditions, some men also seek this treatment because of reported anti-aging benefits that may combat changes affecting hair growth and mental functioning. Even when used for valid medical purposes, there are possible HGH injections side effects for men that should be considered. Some men may experience only minimal side effects with injections. There may be some minor irritation around the injection site, but it usually goes away within a day or two. Minor issues might also include acne, fluid retention, and increased urination. A common side effect of HGH-related treatments, edema is soft tissue inflammation linked to fluid retention. Since fluid retention is associated with higher doses of this growth hormone, lowering the dose may relieve the edema. Caused by pressure on the median nerve in the wrist, carpal tunnel syndrome typically results in numbness and tingling sensations in hands and wrists. Studies suggest this side effect is seen in about 20 percent of patients who have HGH treatments. Another common side effect men may experience with injections is joint pain. Arms, legs, hips, wrists, and elbows are among the areas often affected when this side effect is experienced. A condition characterized by male breast enlargement, gynecomastia is one of the more noticeable HGH injections side effects for men. However, only 5 percent of men studied will develop this side effect, which is considered rare. 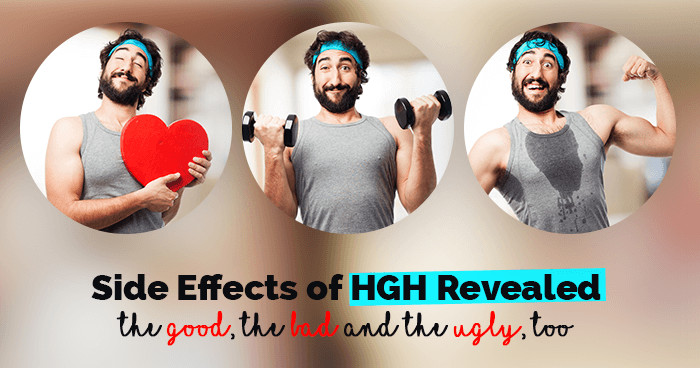 Potential HGH-related side effects that are considered more severe may include decreased testicle size, higher cholesterol levels, an increased number of red blood cells, and high blood pressure. Some men also experience a decreased sperm count, vision problems, chest or muscle pain, and issues with sleep apnea. It should be noted that serious side effects like these are also considered rare. As is the case with female hormone replacement therapy, some men benefit from HRT treatments when they have lower than normal levels of essential hormones or medical conditions that are affecting hormone levels. Available as a prescription in patch or gel forms, hormone replacement therapy for men may also be delivered as intramuscular testosterone injections administered in muscles of the buttocks every 2-3 weeks. For safety reasons, HRT is typically limited to use on adults. Regular monitoring is also important so potential side effects can be discovered and treated as soon as possible.